Publisher: Mulph Edizioni Musicali S.A.S. Massimo Pirone’s Complete Method for Trombone from Basics to Jazz Improvising is geared toward helping young trombone students resolve any playing issues during their initial years of study. Pirone is a freelance trombonist, bass trombonist and tuba player, as well as a composer, arranger, and band leader. The majority of this method book contains fundamental exercises for tenor trombone accompanied with brief descriptions and helpful tips. Additional sections include exercises for tuba and bass trombone. This book also discusses jazz improvisation while including exercises to help the young improviser. Complete Method opens with brief explanations of proper technique for the basics of trombone playing including equipment, breathing, buzzing, embouchure, and tongue placement. These sections avoid being overly physiological and wordy and are presented in a clear, succinct manner that a high school level student should be able to understand. Diagrams illustrating these important functions aid the reader in understanding these fundamentals. The next section, First Technical Studies, gives exercises to address the use of the slide, long tones, and flexibility. These are followed by studies for legato, staccato, and melodic playing. Other sections dedicated to fundamentals include range exercises, double and triple tonguing, scale studies, and melodic studies. The jazz improvisation section in Complete Method begins with a recommended listening list of jazz artists including both trombonists and non-trombonists. The exercises found in this section emphasize memorizing various scales and arpeggios through sequences. Pirone writes out the exercise in only one or two keys, thus leaving it up to the player to transpose into the remaining keys. Also included are a number of patterns, or licks, written in the key of C for the player to transpose into all 12 keys. The extended technique of doodle tonguing is also discussed and accompanied by exercises and illustrations showing proper tongue placement. 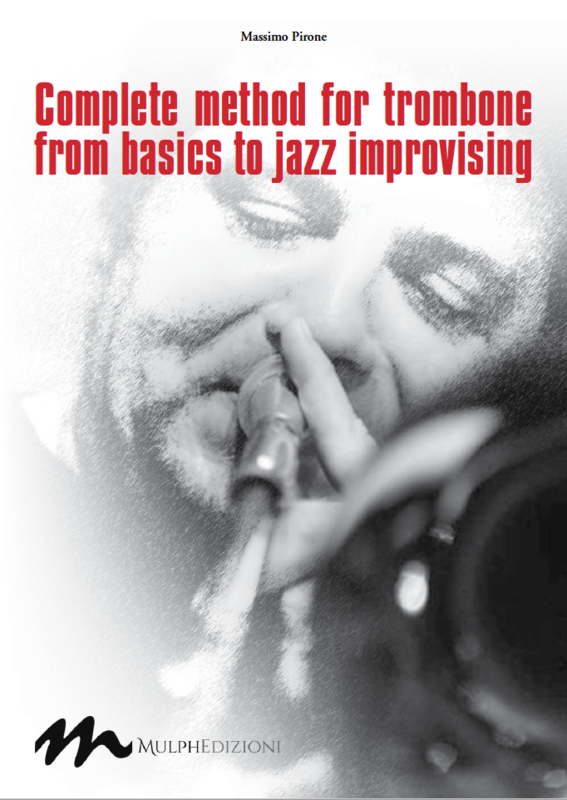 Complete Method for Trombone from Basics to Jazz Improvising by Massimo Pirone is a valuable resource for high school and young college-level students. It provides plenty of exercises in addition to the discussion of technique and fundamentals of trombone playing, striking a nice balance. It is written in both Italian and English, presented side by side or in separate paragraphs when necessary. Complete Method is available in print or PDF format and is sure to aid any dedicated young trombonist in fixing the common mistakes and pitfalls of our unique and beautiful instrument.